Published on November 1, 2017 in Uncategorized. 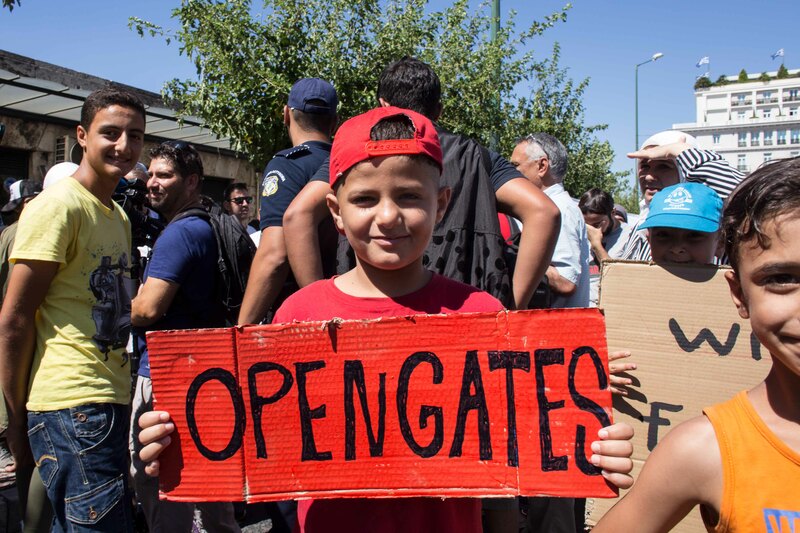 Closed Tags: 2017, athens, Dublin III, family reunification, germany, greece, protest, struggles and resistance, Syndagma, syrian. We are more than 4,000 refugees awaiting our transfer to Germany – most of which are families who are waiting already more than 18 months in Greece under deplorable conditions. We escaped from war-torn countries like Syria, Iraq and Afghanistan to find security and peace near our beloved. Many of us have received the acceptance from Germany since more than 6 months, passing the maximum deadline for the transfer defined by European law due an unofficial and illegal deal between Germany and Greece. Our waiting period has reached now in average nine months from the date of acceptance. Currently, people who get tickets issued have received their acceptance in January 2017. Everybody has to still pay his/her ticket by him/herself. – We have been promised many things. – We have heard these promises many times. – We are tired to listen, tired to wait, tired to hope. 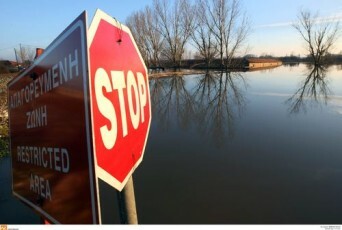 – We have not received at any point of time a clear answer on who is deciding how many people can leave in one month or who is putting numeral limits on transfers. – We have not received at any point a clear answer on who is deciding which persons are considered vulnerable and can travel faster and based on which criteria this is decided. 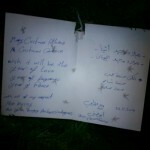 – We just want to know now when we will go to our families. And we want to be treated all equally without any discrimination. · from the Greek and the German government to respect the legal limit of six months to reunify our families from the date of acceptance. 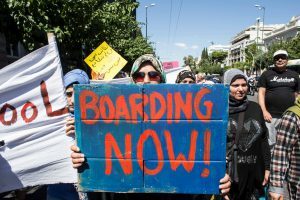 · from the German and Greek authorities to immediately charter flights for all the refugees that have already been waiting more than six months. 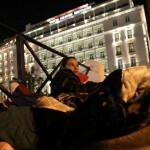 · from the Greek authorities that the money for our tickets will be paid by the state as provided by law. The tickets are one more obstacle for our family reunifications. For all these reasons, our struggle goes on Wednesday 1st November 2017 at 11am at Syndagma Square. Join us and raise your voices with ours! We are protesting since four months against the limitation of transfers to Germany for family reunifications. 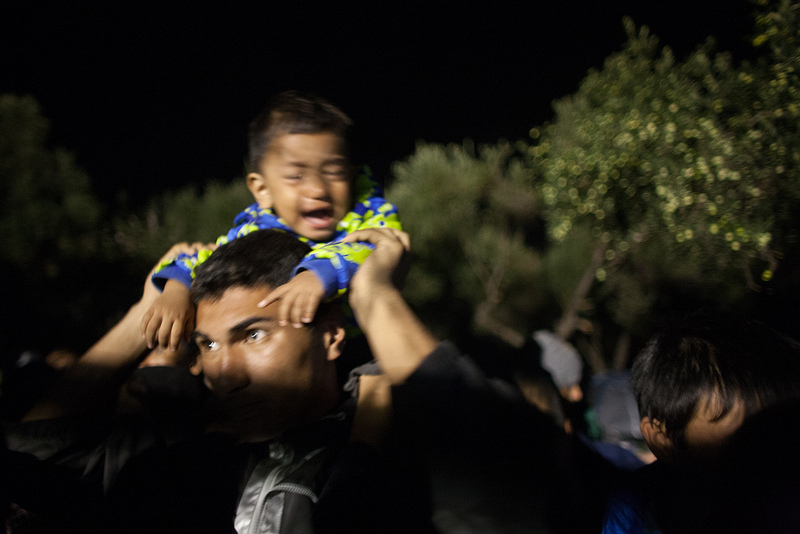 We want to shout out against the cruel migration policy of deterrence that Europe imposes on us and our families; a system that is aimed to unnerve us and let us give up. But we will stand upright. We want to tear down the walls that stop us from being with our fathers, mothers and children. We will continue our struggle until we succeed. We demand our right on family unity and a dignified life in peace now! The right to stay and freedom of movement for all. Published on October 12, 2017 in Uncategorized. Closed Tags: 2017, Dublin III, families, family reunification, germany, greece, protest, refugee, struggles and resistance, syrian. We are more than 4,000 persons awaiting our transfer to Germany. Most of us are families who are waiting already more than 18 months in Greece under deplorable conditions. We escaped from war-torn countries like Syria, Iraq and Afghanistan to find security and peace near our beloved. We applied for family reunification. Many of us have received the acceptance from Germany already since more than 6 months, passing the maximum deadline for the transfer as prescribed by law. The waiting period nowadays has reached nine months from the date of acceptance. Currently, people who get tickets issued have received their acceptance in January 2017. Everybody has to pay his/her ticket by him/herself. We are protesting since more than three months against the limitation of transfers to Germany for family reunifications and we will continue our struggle until we succeed. 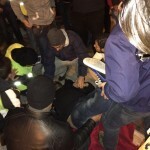 As it was agreed on 17th of September during the last protest we held in front of the Athens Asylum Service near Katekhaki metro station, a refugee delegation consisting of four representatives visited the offices on October 5, 2017 in order to get the promised update on promised improvements from the responsible authorities. During the visit, representatives of the asylum service and the Dublin Unit specifically, informed us that the number of transfers had increased to over 70 persons per month since July and had reached approx. 300 in September. 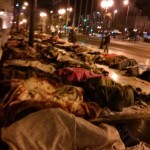 According to them, the Greek authorities had the will to further increase transfers to 600 per month. In the meantime, the Dublin office has reportedly employed three additional officers in order to fasten up procedures. Furthermore, they acknowledged the problem of the expenses forced upon us for the airplane tickets and expressed their will to improve the situation by hiring a number of charters only for family reunification transfers. Finally, and answering our demand on transparency, the exact numbers of transfers will be issued on the internet-page of the asylum service. 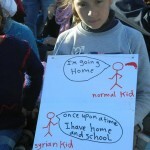 – We just want to know now when we will go to our families. And we want to be treated all equally without any discrimination and according to law. On Monday 16th of October 2017 we will meet the authorities again, as they promised us that until then they will be able to show us results of their promises. We are in expectation of a quick positive change with prompt transfers to destination countries for all separated families. Otherwise we will have to escalate our struggle for our fair demands. Published on October 21, 2015 in Uncategorized. 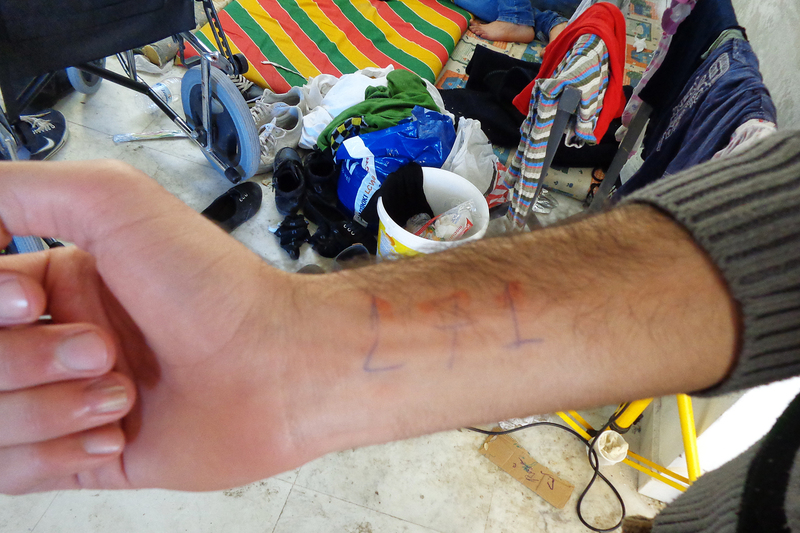 Closed Tags: 2015, afghan, greece, iraqi, Lesbos, lesvos, Moria, police violence, registration, syrian, vulnerable groups. 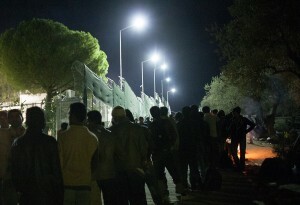 2,500 persons can be registered daily in Moria according to local media, while more than 10,000 arrived within the last 24 hours. Refugees are queueing kilometers in and outside the registration camp that was originally constructed as a prison. At the same time the registration camp lacks any form of a functioning queuing system as well as dignified infrastructures and basic needs provision. Refugees are sitting and sleeping for hours between mud and garbage, being pushed by the crowd, insulted and beaten by police forces and sometimes even thrown tear gas. They get sick and injured under the life threatening living conditions in Moria. Published on May 15, 2015 in Uncategorized. Closed Tags: charges for smuggling, crete, foto, greece, massive arrivals Crete, new arrivals, reception, registration, syrian, turkey, unaccompanied minors. In the night of the 12.05.2015 a refugee boat by the name of “M/S Sula” carrying 192 refugees got in distress near Palaiochora, Crete. 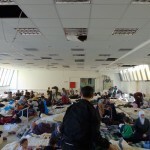 The mainly Syrian passengers were saved and brought to a closed gym. 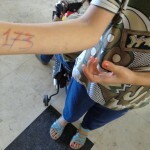 According to testimonies of refugees the police authorities wrote registration numbers on their arms while they were sleeping. Representatives of local NGOs explained, this was a common practice during massive arrivals on the island. It’s the second arrival of a refugee boat in Crete within one month. 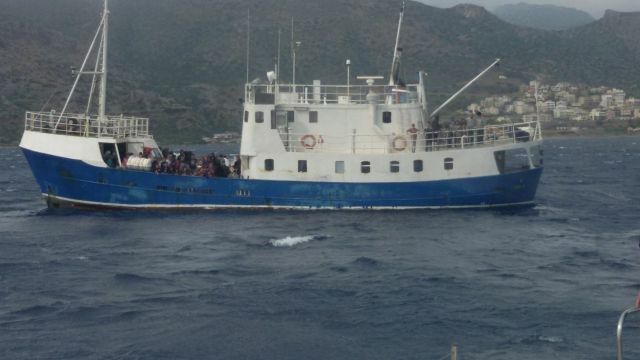 The “M/S Sula” had reportedly started in Antalya, Turkey and was heading towards Italy when the bad weather conditions forced the refugees to send SOS to Greek authorities. 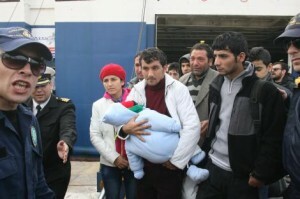 Most of the passengers were Syrian protection seekers while there were also some Palestinians. There were also 70 children among them as well as five unaccompanied minors. All refugees were first brought to a closed gym. The minors were then transferred the next day to detention in the police station of Souda/Chania awaiting a free place in a reception center for minors. UNHCR and IOM representatives visited them the first day of arrival. 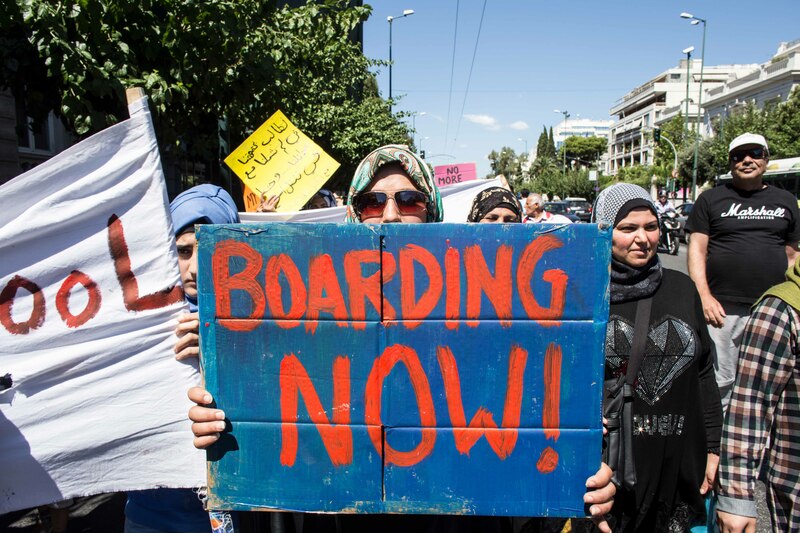 On May 14, 2015 most of the newcomers were transferred to Athens with an official note that allows them to stay for six months in Greece. In the meantime, six persons were arrested and charged as smugglers. One of these arrested was traveling with his wife. 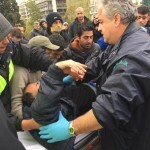 She had to be brought to emergency department of the Hospital of Chania because of a panic attack on May 14, 2015 and following the arrest of her husband. Published on November 26, 2014 in Uncategorized. 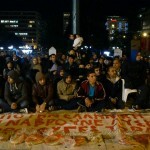 Closed Tags: athens, greece, hunger strike, struggles and resistance, syrian. 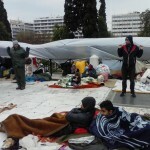 We are the Syrian refugees who are standing from 19 November 2014 outside of Greek Parliament in Athens at Syntagma square. We started hunger strike on 24 of November. We demand full asylum rights as refugees. 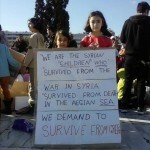 We escaped from death in Syria. We escaped from death passing the Aegean sea. We want to live with dignity in Europe. · Open the boarding gates by affording us proper travel documents to enable us to travel abroad, inside European Union. 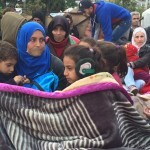 · Support the Syrian refugees who are blocked in Greece. Book ships to transfer them to the countries which have already announced that they are ready to accept them. 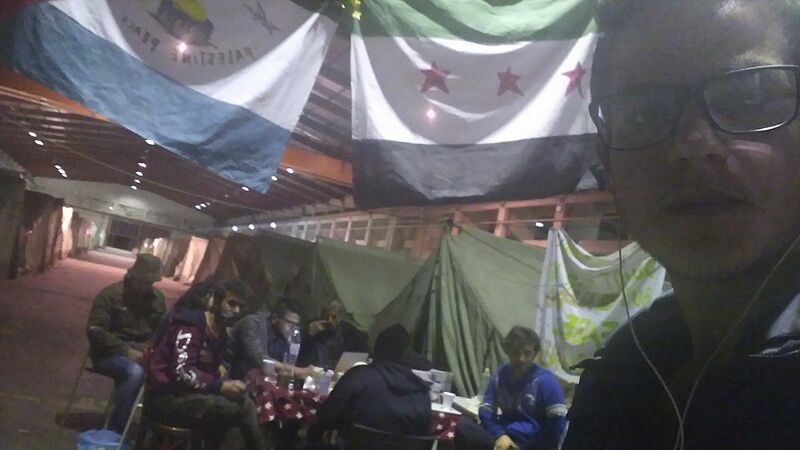 · Support Syrian refugees with full rights of refugee which include: regular salaries, shelter, food, health insurance, education, reunification of their families, and work permit. We call the Greek government to solve this issue immediately. 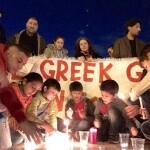 We appeal to Greek Parliament to support our case. We appeal to Greek people for solidarity to our demand for full asylum rights. Published on March 31, 2014 in Uncategorized. 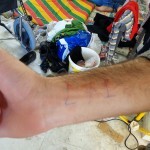 Closed Tags: crete, distress at sea, egyptian, greece, new arrivals, syrian. 331 refugees (267 men, 24 women and 40 children) from Syria and Egypt were saved from a fisher boat which had gotten in distress earlier in the sea of Kythira. They were transferred to Crete. 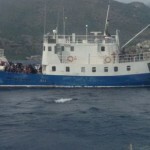 The fisher boat had called SOS in the night of Sunday 65 nautic miles northwest of Crete. Two cargo ships of foreign flags, one greek tanker one ship of the US-Marine, a boat of the Greek coast guard, a fregatte of the greek navy and a helicopter of the greek coast guard got to the spot immediately. Today the Syrian refugees were left to go while the people from Egypt were kept and will be brought to detention – among the latter are reportedly many unaccompanied minors. Published on November 21, 2013 in Uncategorized. 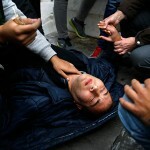 Closed Tags: greece, NEWS, push-back, syrian, turkey. Efymerida ton Sindakton published today a witness account of one of the Syrians who had disappeared on November 12th in Evros. The systematic and extended application of the illegal practice of readmissions has been registered in a series of reports by international organisms and organizations in the last years. Nevertheless the Greek authorities ostentatiously ignore the allegations, creating a regime of impunity which closes their eyes when it comes to massive violations of fundamental rights of migrants and refugees. According to the report of Amnesty International “Frontier Europe” which was published in July, the Commissioner Malmstrom expressed her big concern for the allegations and stated that if they are proved or continue “it is possible to lead to a suspension or termination of a part of or of all Frontex operations in the Greek-Turkish borders”.